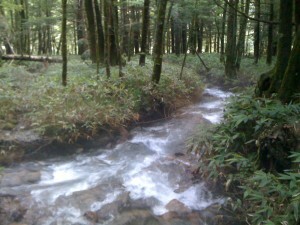 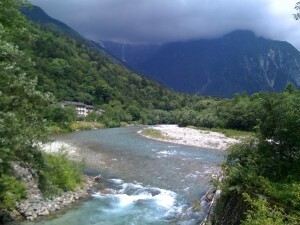 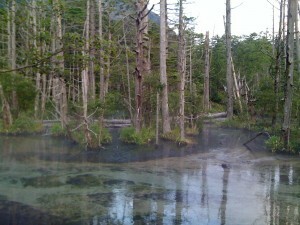 I’ve just come back from a summer vacation at Kamikochi, in Nagano prefecture, at the foot of the Western Japan Alps. 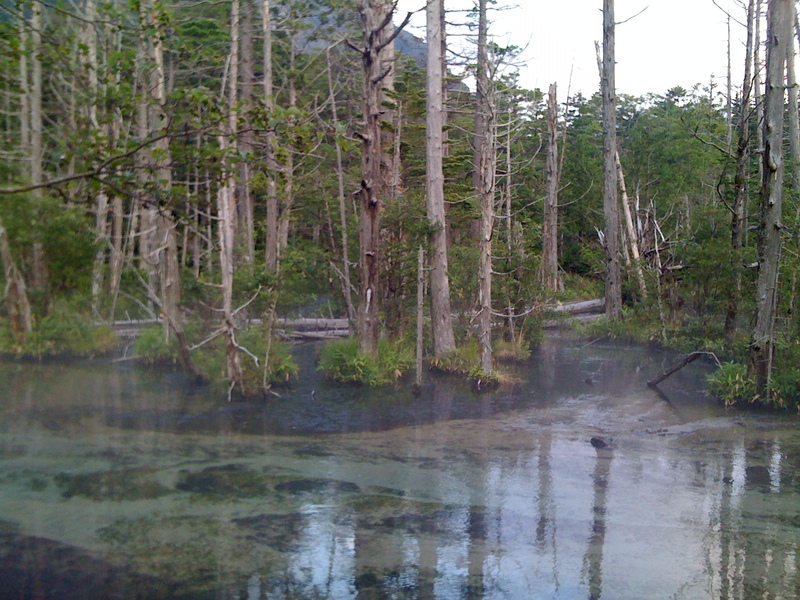 Spent most of Saturday hiking in the forest trails – through the swamps, around the lake. 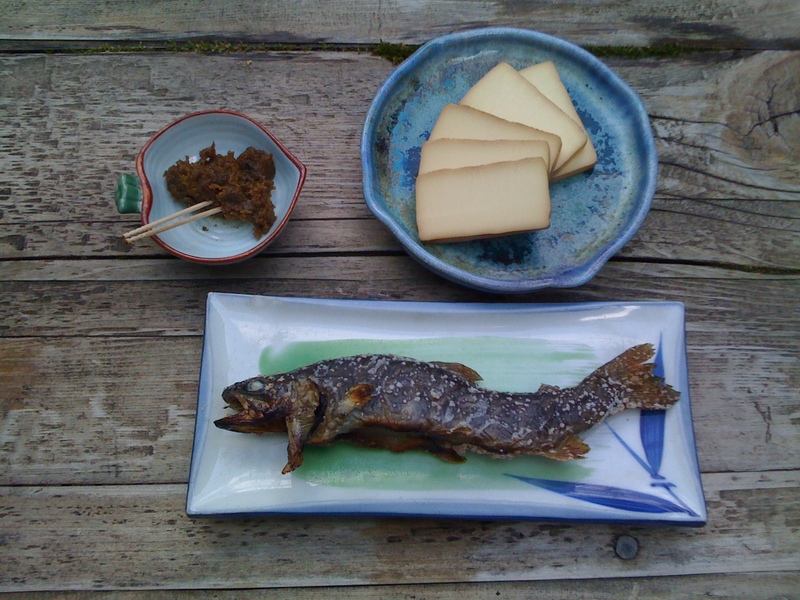 Right in the middle of the trail was a hut that sold iwana – a kind of river fish, roasted on a stick around an open charcoal fire, and served with smoked cheese, noodles and a glass of fine nihonshu. Nothing better to set you up for the hike back to the hotel.